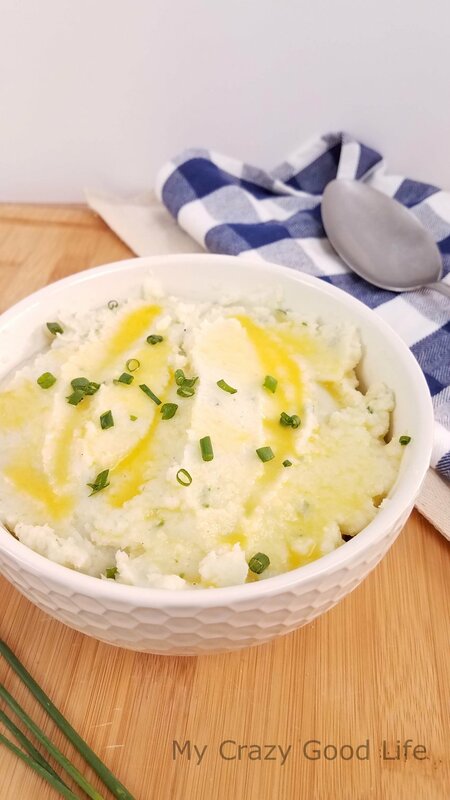 You can’t go wrong with this delicious cauliflower mashed potatoes recipe. It’s perfect for working more veggies into your diet, cutting out starchy vegetables like potatoes and corn, and of course, it’s friendly for those of you on the 21 Day Fix plan as well as Weight Watchers. 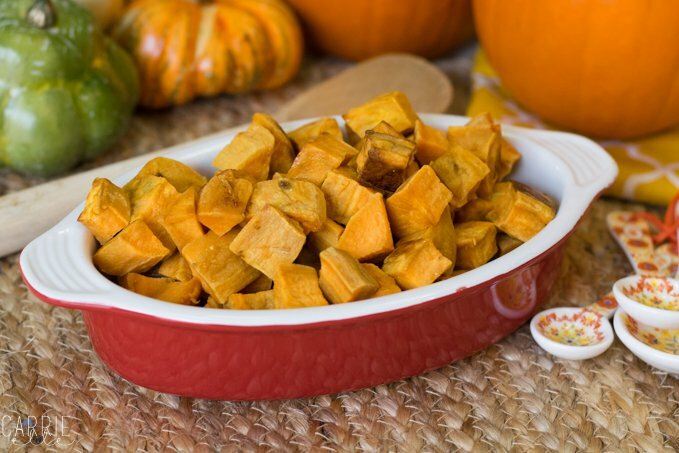 So, come to a virtual Thanksgiving dinner with me–a healthier Thanksgiving dinner. I want you all to know that it’s still possible to feel satisfied while eating healthier, whether you’re on the 21 Day Fix or Weight Watchers (or just watching what you’re eating!). My friends Nancylynn, Stephanie, and Carrie are coming to dinner too! You can find their Thanksgiving recipes linked below mine! I love making recipes that “hide” veggies from my kids and other picky eaters. This recipe is full of all that vegetable goodness but it just tastes like you are eating your favorite creamy mashed potatoes. The Instant Pot makes this recipe quick and simple. It also means that you will have perfectly cooked cauliflower masked potatoes. If the cauliflower isn’t cooked properly it won’t get that creamy texture that you need in order to make cauliflower mashed potatoes! If you are longing for the creamy deliciousness of mashed potatoes but don’t want to pack on the extra starch, try this recipe. It’s delicious and you with the added greek yogurt you won’t even know that there’s no potatoes involved! Cauliflower mashed potatoes is great for both the 21 Day Fix and the Weight Watchers program. 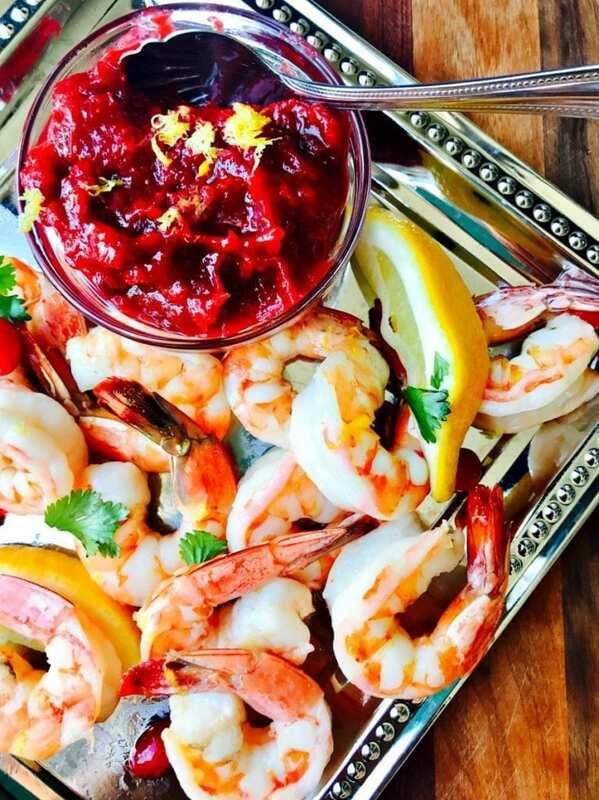 You can have the whole recipe for just 5 Weight Watchers Smart Points so this is definitely a recipe that you can feel good about. Feel free to indulge! 1) Pour the chicken stock into the Instant Pot. Place a steaming basket at the bottom of the Instant Pot and add the chopped cauliflower on top of it. 2) Add the lid to Instant Pot and turn the pressure valve to sealing. Cook on high pressure for 3 minutes using the manual function. When done, release the pressure using a quick release. See this chart for cook time adjustments at higher altitudes. 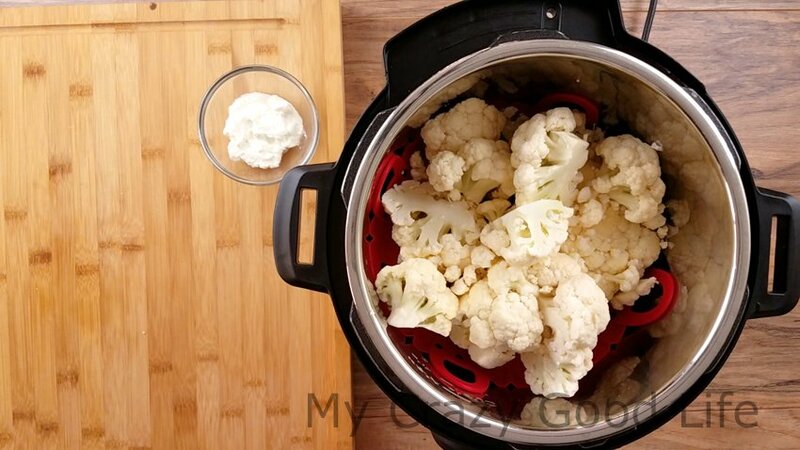 3) Transfer the cauliflower from the Instant Pot to a food processor or blender. Add the garlic salt, onion powder, pepper, Greek yogurt, and chives. At this point you can also add the melted ghee or pour the ghee over the top the mashed cauliflower later. 4) Blend the cauliflower until it is smooth. If the mashed cauliflower it too thick, you can thin it by mixing in a tbsp. or two of the chicken stock from the Instant Pot. Scoop the mashed cauliflower into a dish, drizzle with melted ghee, and garnish with more chives. 1. Bring 1.5C water and .5C chicken broth to a simmer, then add cauliflower. 2. Cover the pan and turn heat to medium. Cook 12-15–we want the cauliflower to be super tender. 21DF Container Count: Entire Recipe equals 8G, 2tsp, and just over 1/8R. Per 1/2C serving = 1/2G. The tsp and R are negligible, which honestly means I don’t count those containers in this recipe. You’re going to want to visit some of my friends to round out your meal! 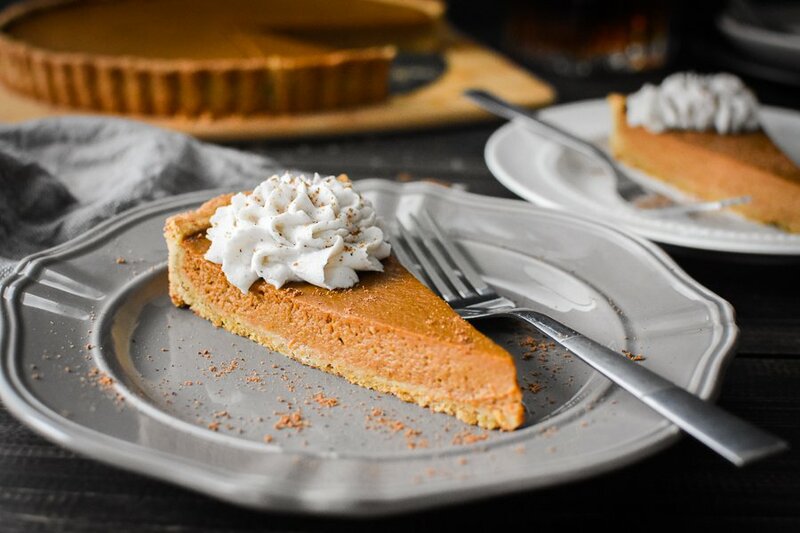 These are perfect Fix approved recipes to bring to your holiday gathering–this way, you’ll know for sure that there are delicious and healthy options available! 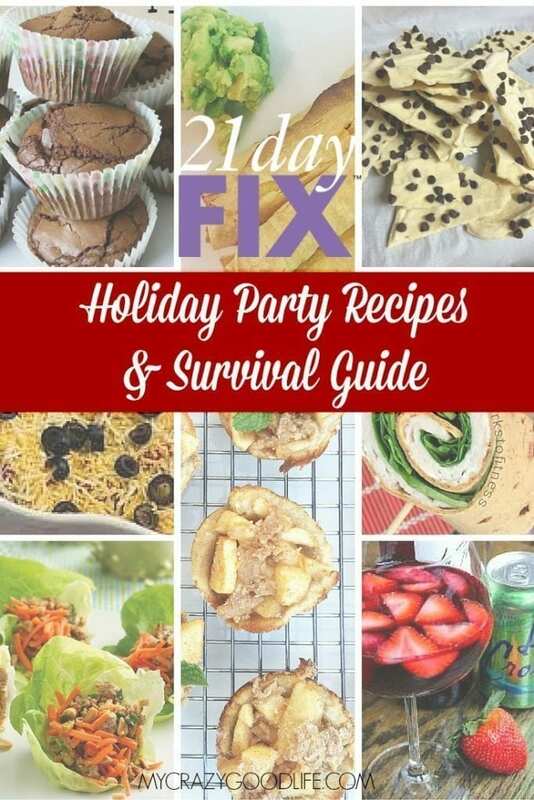 If you’re looking for more delicious holiday recipes (and tips for staying on track during these sometimes stressful meals), you’ll want to visit this post with 21 Day Fix Holiday Recipes. 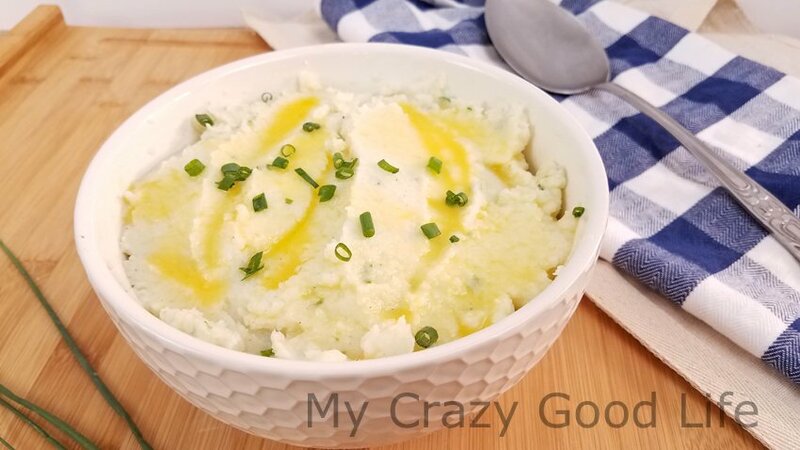 You can't go wrong with these delicious cauliflower mashed potatoes. 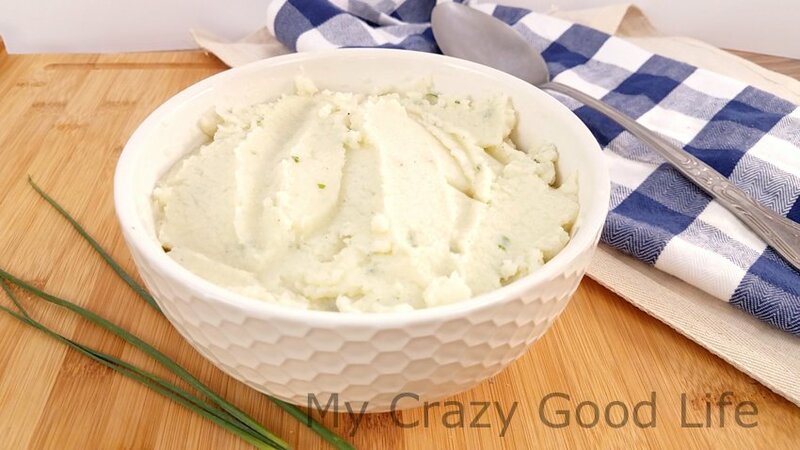 The perfect Thanksgiving side dish, this mashed cauliflower is a healthier mashed potato recipe. Pour the chicken stock into the Instant Pot. Place a steaming basket at the bottom of the Instant Pot and add the chopped cauliflower on top of it. 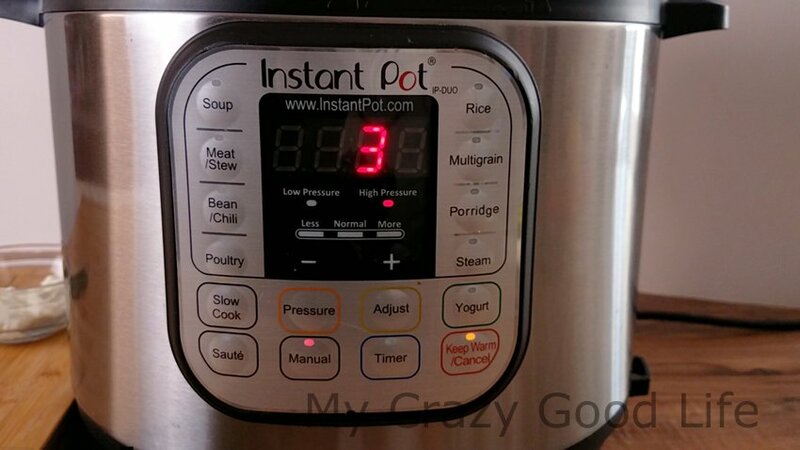 Add the lid to Instant Pot and turn the pressure valve to sealing. Cook on high pressure for 3 minutes using the manual function. When done release the pressure using a quick release. Transfer the cauliflower from the Instant Pot to a food processor or blender. Add the garlic salt, onion powder, pepper, Greek yogurt, and chives. At this point you can also add the melted ghee or pour the ghee over the top the mashed cauliflower later. Blend the cauliflower until it is smooth. If the mashed cauliflower it too thick, you can thin it by mixing in a tbsp. or two of the chicken stock from the Instant Pot. Scoop the mashed cauliflower into a dish, drizzle with melted ghee, and garnish with more chives. Bring 1.5C water and .5C chicken broth to a simmer, then add cauliflower. Cover the pan and turn heat to medium. Cook 12-15–we want the cauliflower to be super tender. Per 1/2C serving = 1/2G. The tsp and R are negligible, which honestly means I don't count those containers in this recipe. How can I get your recipes emailed to me? 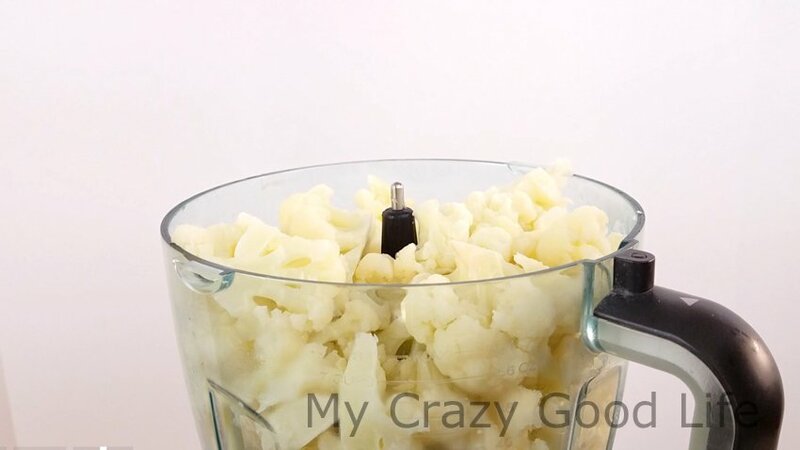 What brand / model food processor do you use in cauliflower mashed potato video?